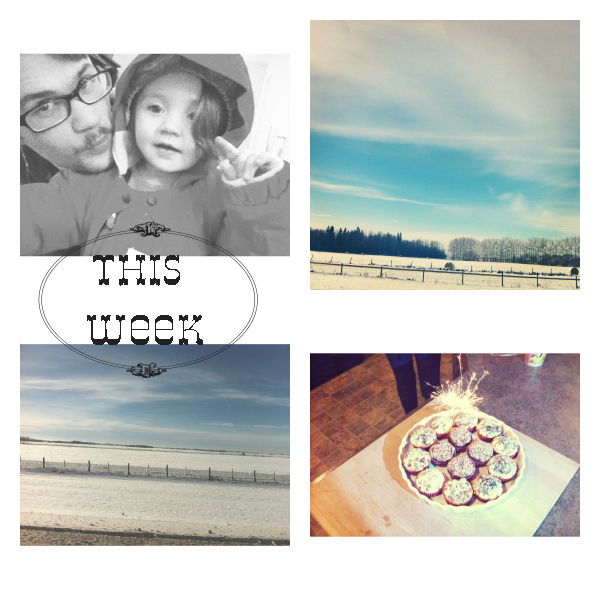 It has felt like a busy and full week. On Wednesday I began to feel feverish and achy again and ended up spending the evening on the couch under afghans. There is nothing like cups of tea and multiple episodes of LOST to get you back on your feet. I don't want to go down the slippery slope of warding off perpetual illnesses so I have started up a vitamin regimen again. Sickness, be gone! 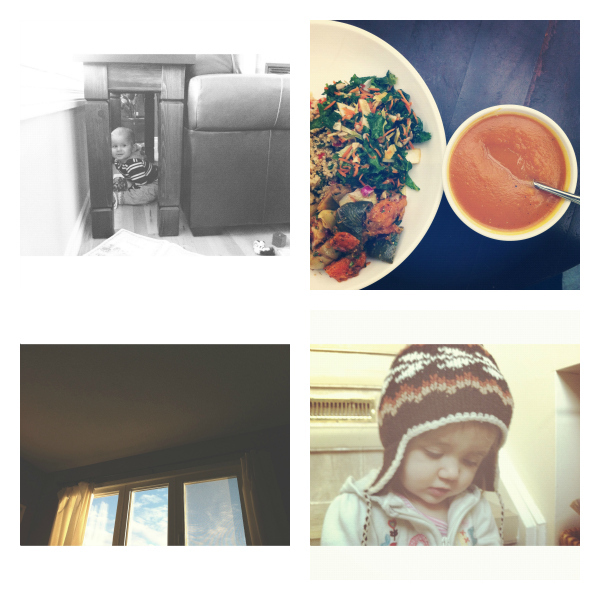 Despite feeling blah, we have had some pretty sweet moments this week. 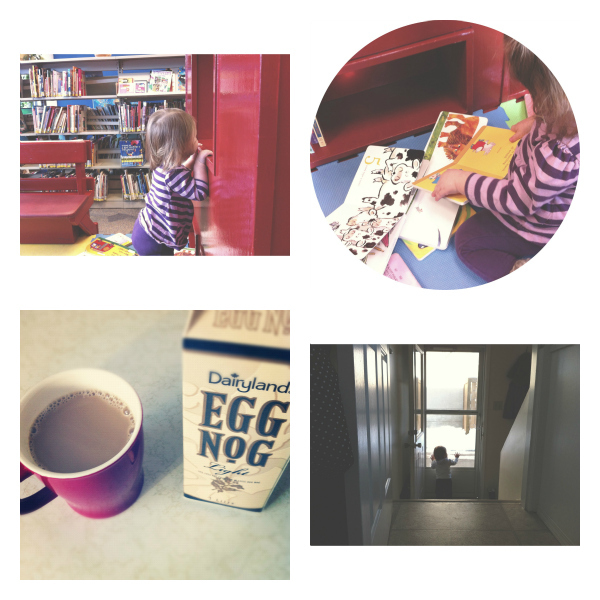 Beautiful mild winter days, belated-birthday celebrations with loved ones, quiet lunches by myself, a first library outing for Miss Z, and egg nog in the house!!! In other news: Zoey is on the move and using more than her hands and knees. Yup, you heard right. She is taking more and more steps everyday. The way her eyes glisten when she shuffles her little feet forward forward and then drops to her knees in glee is the best. I'm trying to get it on video but she's a monkey she is. Walking one moment, getting into a box of tomatoes the next. Yes, that is how we roll.